Miltonduff distillery was built to the sougth of Elgin in 1824 in the Glen of Pluscarden, a short distance from the eponymous Abbey ruins. In 1964 two Lomond stills were added producing a different style of Whisky which was known as Mosstowie. These were removed in 1981. A herbaceous and spice laden nose evolves to reveal soft ripe fruit and hints of anise. The palate develops well giving orange citrus edged with lemon zest. 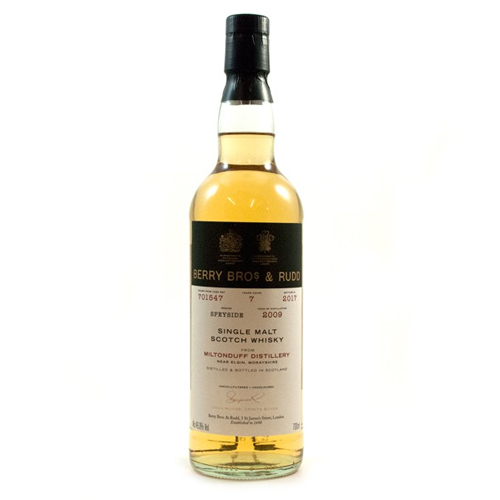 The overall impression is of a balanced, wekk rounded and characterful dram.